"I remember Mrs. Harris fondly as a consummately gracious,..."
"Kind thoughts are with the family in your time of grief...."
Dorothy R. (Kintzel) Harris, 94, of Atlantic, Iowa, and formerly of Wichita and Lawrence, Kansas, died Saturday, January 12, 2019, at Cass County Memorial Hospital in Atlantic. 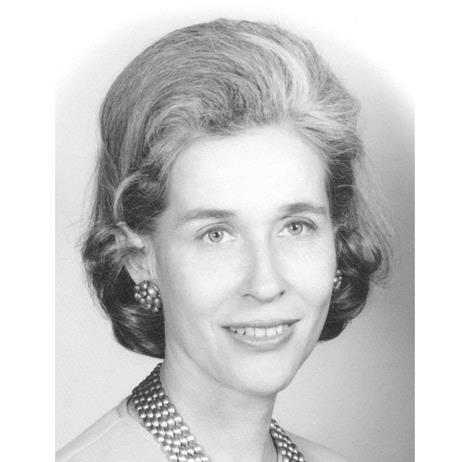 A native of Wichita, Dotty was born July 22, 1924, attended the University of Kansas where she became a Delta Gamma and graduated in 1946, with a degree in chemistry and taught at Drury College in Missouri. She will be lovingly remembered by her children, Doug (Mary) Harris, Elizabeth (Len) Heller, Susan (Mark) Coleman and Laura (Thomas) Graham. Dotty will be fondly remembered by her eleven grandchildren, Sarah Heller, Daniel Heller, Nathan Harris, Rachel Harris, Isaac Harris, Adeline (Harris) Lopez, Kathleen Coleman, Jonathan Coleman, Jack Coleman, Malcolm Graham, Kevin Graham, and three great-grandchildren, Toren Harris, Annabelle Coleman and Zara Coleman. She was predeceased by her husband, Jack Harris; parents, Otto Kintzel and Ruth Snyder; and siblings, Hubert Kintzel and Louise Westwood. A Celebration of Life service will be held the morning of Friday, March 8, 2019, at Old Mission Funeral Home in Wichita, with burial in the Kansas Veteran's Cemetery in Winfield. Roland Funeral Service in Atlantic, Iowa, and Old Mission Funeral Home in Wichita, Kansas are caring for Dorothy's family and her arrangements. Condolences may be left at www.rolandfuneralservice.com.